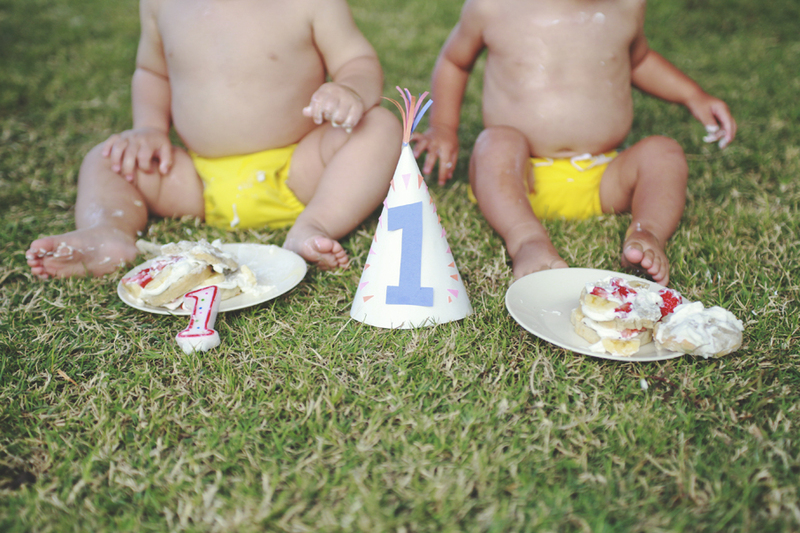 My cute little nephew turned one while they were visiting us this past month. 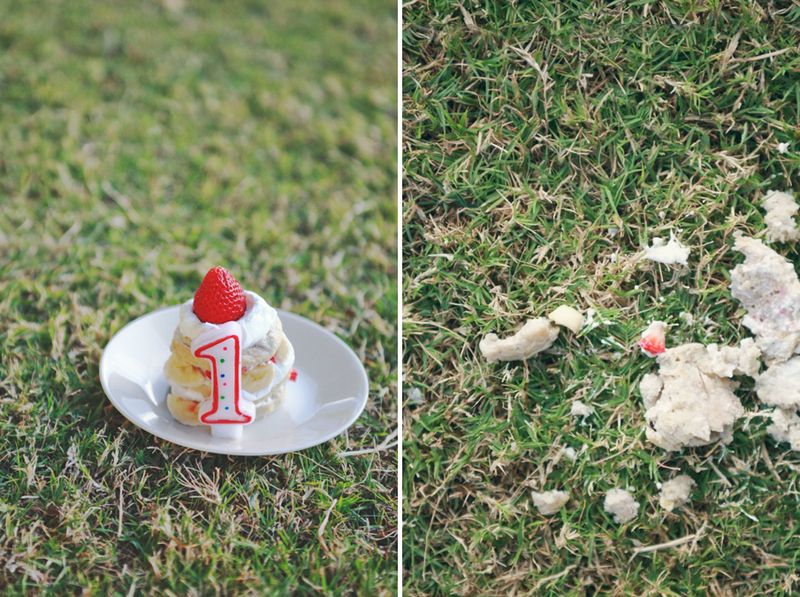 It was a time full of celebration and lots of memory-making. One of those moments was the cake smash session that we planned for our 2 one-year-olds, including naked babies, a birthday hat and candle, and of course cake! 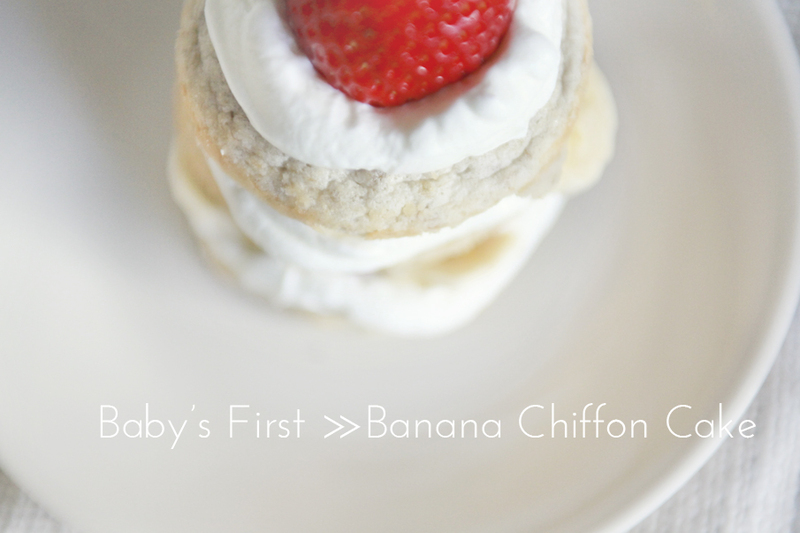 I've been on the hunt for a good, "healthy" first-baby-cake for as long as I've been a mommy and I have finally found THE ONE --> a banana chiffon cake <-- not only good for babies, but yummy for adults too, so go ahead and give it a try! In a ziploc bag, using your fingers, mash up the banana with lemon juice until smooth with no chunks. Pour bananas to a mixing bowl, add sifted flour, and mix. 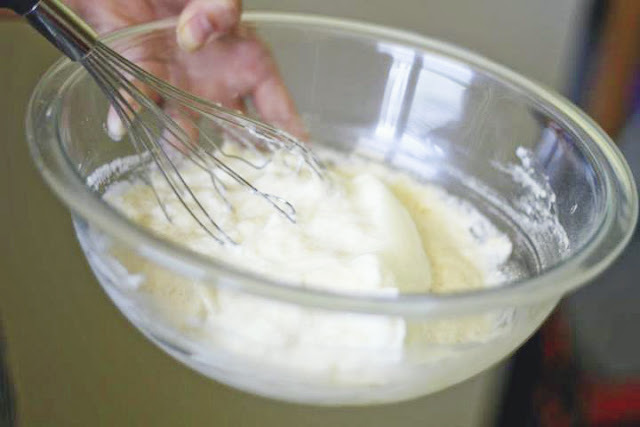 In a separate bowl, beat egg whites until soft peaks form. Add sugar and beat once more. Add 1/3 of the beaten egg whites to the banana mixture and stir. Gently fold in the rest of the egg whites until smooth (be careful not to over-mix!). 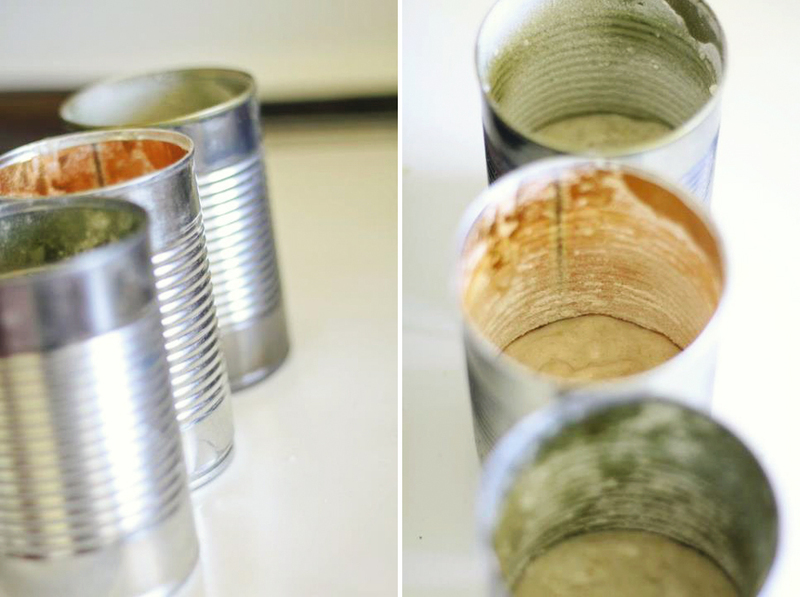 Spoon mixture into 2~3 well-buttered and -floured empty soup cans (15oz size). Bake at 325 degrees for 20-25 minutes, or until the tops are golden brown and inserted toothpick comes out clean. Cool and serve layered with whipped cream, fresh strawberries and bananas. 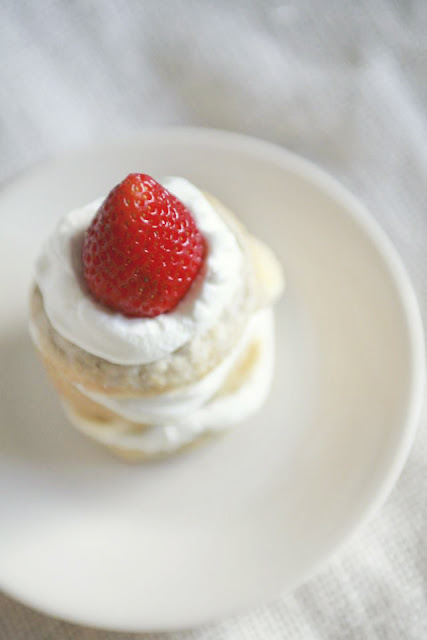 OOoh sounds yummy and so easy :) Thanks for the recipe. Hope all is well with you. Hi LeeYen! How are you? Thanks so much for your comment! I hope you'll stop by often. Love your recent photography updates! Wasn't it the best vacation ever? I so wish it could have been longer. so fun. we need to chat soon. k? gonna have to try this one. looks yummy! I still am a fan of your blog though I have been a slacker this Summer about reading it, and doing my own! This looks good and cute! How much do you fill the cans? How are you? I was wondering where you've been! lol I was happy to see a comment from you though. They always make my day! So for the cakes, I filled the cans maybe a couple inches-- I split the batter up evenly between the three cans. 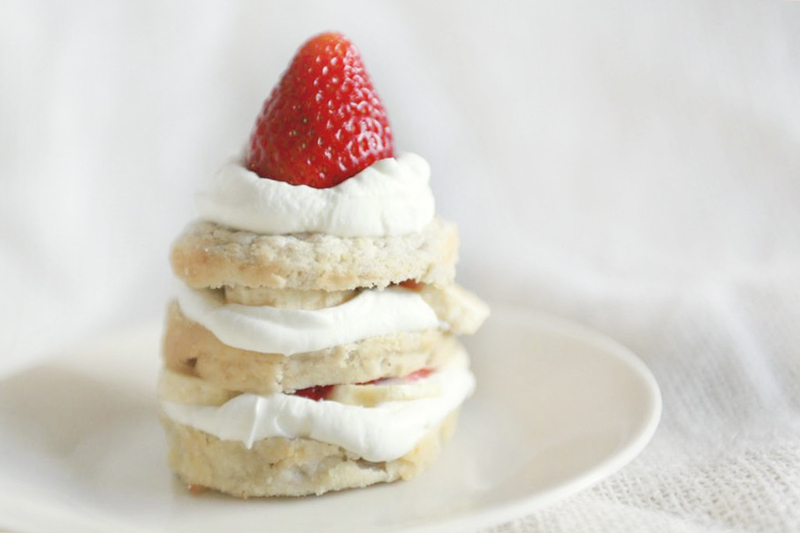 They end up being a little small and dense, but once you slice it and put cream and fruit in the layers they are a pretty good size.